Book 1 of my Reading Challenge was Rayne Hall's Thirty Scary Tales. You can read my review of that anthology here. After finishing it, I knew I wanted to read more of her work. I was given the opportunity to do so with Storm Dancer. 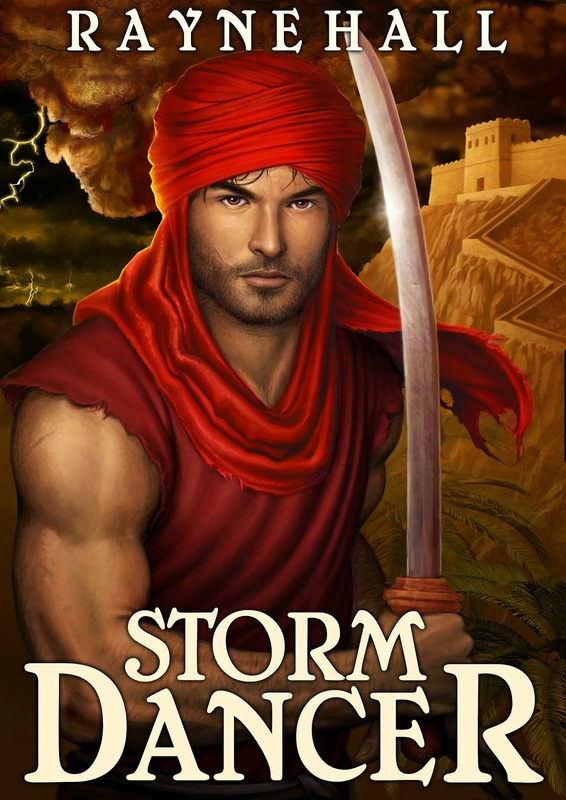 In all online descriptions of this book, Storm Dancer is listed as a dark epic fantasy and the story definitely stays true to that. There are many graphic scenes throughout the novel. I would not recommend this book for anyone under the age of 16 or anyone who has issues with reading content surrounding violence against women. Dahoud, the main character of this novel was once a feared and dangerous soldier dubbed the Black Besieger. After a life of fighting battles, he fakes his death to escape his past. You learn early on that Dahoud has gone into hiding because he fears a djinn, a demon, dwelling inside him. When his military leadership is required to conquer a war beaten region he is called up by Kirral, the Queen's vile and devilish consort. My favourite character is the book's namesake, Merida, the Storm Dancer. Merida is a magician from the Virtuous Republic of Riverland. A place where each citizen is ranked based on a personal value which is calculated based on family, profession and personal status, among other things. She is sent by her government to bring rain to the dry lands of the Queen. Her magic is real as she is able to draw rain from the sky, but it is this miracle that results in her captivity. What I enjoy most in Rayne Hall's writing style is her ability to captivate her readers through her imaginative descriptions of each moment in the book. While reading Chapter 6: Dancing for Rain, I could feel the beat of the drums and tension in the crowd as Merida is willing the clouds to release the rain. I personally give this book 3 out of 5 stars. This is mostly due to the graphic content I mentioned earlier in my review. I had a really hard time getting through those sections, I guess dark fantasy novels just aren't my thing. Storm Dancer is available on Amazon.com and Amazon.ca. For more information on the book's author, Rayne Hall, you can visit her Amazon page here. I received this eBook free from the author through the BuView review program in exchange for an honest opinion. I was not required to write a positive review. The opinions I have expressed are my own.